Read the 10 Steps to Creating Tax-Efficient Strategies, or download your copy here. The Tax Cuts and Jobs Act (TCJA) represents the most sweeping changes to the tax code in decades. While you may benefit from the lower tax-rate structure, many tax preference items such as deductions were scaled back or eliminated altogether. You should consult with a tax professional to understand how the new law impacts your taxes and if there are any strategies that may be considered based on your individual circumstances. For example, a first step is determining your marginal income tax rate for 2018 based on the new brackets to see if strategies to increase, reduce, or defer income before the end of the year make sense. Also, based on drastic reductions in deductions for many taxpayers, some clients who historically have itemized deductions may opt for the increased standard deduction instead. Since many investors typically request distributions from retirement accounts annually in December to satisfy minimum distribution requirements, it is a good idea to make sure you are on track. The Internal Revenue Service has specific rules for taking RMDs. In fact, the penalty for not taking a required distribution is steep: 50% of the required amount. Having a conversation about RMDs may also lead to identifying stray retirement accounts for consolidation. Or, grandparents not relying on income from RMDs may also be interested in using those funds to establish a 529 savings account for grandchildren or some other tax-free strategies. Historically, a third of taxpayers itemize deductions on their tax return. A near-doubling of the standard deduction, coupled with reductions in many popular deductions (state and local taxes for example), means that less than 10% of taxpayers will likely itemize in 2018. This has profound implications for making charitable gifts. For taxpayers who are planning on claiming the standard deduction in 2018, there are two strategies to consider. For those age 70½ or older, distributing funds from an IRA tax-free directly to a qualified charity (up to $100,000 per IRA owner and can include RMDs) may be a good option. Another strategy is the concept of “lumping” multiple years of charitable gifts into one year in order to itemize deductions on that year’s tax return. For example, instead of a couple gifting $10,000 annually to a charity, consider gifting $30,000 in one year, representing three years’ worth of gifts. The couple could benefit from itemizing deductions that tax year and claim the higher standard deduction the next two years. Have your advisor review your taxable portfolios, to identify opportunities to strategically generate losses to offset other gains. For example, using a tax-swap strategy for mutual fund holdings allows you to realize a tax loss while retaining essentially equivalent market exposure. Are you aware of current estate and gift tax laws? Year-end provides an opportunity to review your existing estate plans and consider gifting strategies. The annual gift tax exclusion for individuals increases slightly to $15,000, and the lifetime estate and gift tax exclusion doubles to $11.18 million for 2018. The drastic increase in the lifetime exclusion means that you should review existing trusts and other documents with your attorney to see if any modifications are necessary. Also, there may be opportunities for large lifetime gifts, considering the doubling of the exclusion amount. The annual gifting limit for 2018 is $15,000, and a special 529-plan exclusion allows five years’ worth of gifts — up to $75,000 or $150,000 for married couples — to be contributed at once, provided that no other gifts are made within the next five-year period. And there’s also an added benefit for grandparents who own 529s: These assets are not currently factored as assets for determining federal financial aid under the FAFSA process. However, distributions from these accounts may be counted as part of the income test portion of the financial aid calculation. The new tax law introduced a provision (IRC Section 199A) that allows certain taxpayers to deduct 20% of qualified business income (QBI) on their tax returns. Business income from pass-through entities — sole proprietorships, partnerships, LLCs, and S Corps — may qualify for the new deduction. Business owners at higher income levels ($207,500 for individuals, $415,000 for couples) may be limited or restricted from utilizing the deduction, so strategies to reduce taxable income under these thresholds may be appropriate. Small-business owners who will record a net operating loss (NOL) this year may be able to use it to their advantage. NOLs may be carried forward to offset ordinary income on future tax returns. Unlike net capital losses, where taxpayers are limited to using only $3,000 annually to offset any ordinary income, taxpayers can generally apply NOLs against 80% of ordinary income. Clients carrying forward large NOLs can use those losses to offset the additional income from a Roth IRA conversion. We use a three-bucket approach to diversify your tax liabilities: taxable, tax-deferred and tax-free. This exercise may illustrate that you are “overweight”, meaning one or more areas need proper reallocation into the other buckets. For many, this exercise may illustrate that they are “overweight” in one area, namely traditional, tax-deferred retirement accounts. Many clients could benefit from increasing their allocations to tax-free vehicles by investing in municipal bonds, converting an account to a Roth IRA, or by incorporating other additional tax-free income strategies. Creating tax-efficient financial strategies takes time, effort, and experience—something we know adds an additional layer of complexity to your busy life. As our client, we help you by working hard to minimize investing tax liabilities and maximize your bottom line. We also consider it our responsibility to educate you about details that could affect your financial future. financial situation. We can coordinate this for you. As always, we appreciate the trust you place in our firm, and we look forward to continuing to help provide the financial clarity you seek. The information contained herein is general in nature and based on authorities that are subject to change. kANU Asset Management guarantees neither the accuracy nor completeness of any information and is not responsible for any errors or omissions, or for results obtained by others as a result of reliance upon such information. 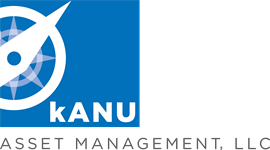 kANU Asset Management assumes no obligation to inform the reader of any changes in tax laws or other factors that could affect information contained herein. This publication does not, and is not intended to, provide legal, tax or accounting advice, and readers should consult their tax advisors concerning the application of tax laws to their particular situations.